A MELBOURNE legal identity has released a statement after two men were charged over the assault of two men after an MCG footy final last week. 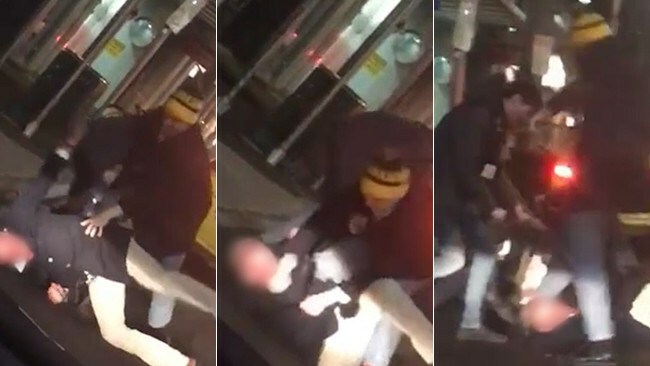 The two men, believed to be close family of Tim Walker QC, were charged over the attack in East Melbourne early on Friday morning, in the hours after the Richmond-Hawthorn qualifying final. Tim Walker said in a statement: "This matter is still under police investigation. We are not able to comment at this stage. ''We have every confidence Victoria Police will obtain all relevant evidence, including all available CCTV footage. "We ask the media to respect our family's right to privacy." The three men charged will face Melbourne Magistrates' Court in December. One of the victims, aged 61, remains in the Alfred Hospital, where he is being treated for head and facial injuries. The other, a 45-year-old was discharged on Sunday. Police have confirmed they later charged two North Fitzroy men, aged 24 and 27, as well as a 27-year-old East Melbourne man, with intentionally causing injury and recklessly cause injury.